Have you ever thought on doing that trip of a lifetime? 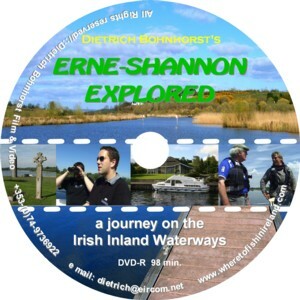 Skipper your cabin cruiser on the Irish Erne and Shannon Waterways? Have a look at spectacular landscapes from a different perspective? 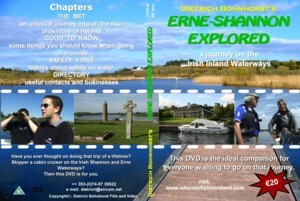 This DVD is the ideal companion for everyone wishing to go on that journey. THE BET an unusual journey into all the four provinces of Ireland. A road movie, just on water. I bought the latest Video you have done: "excellent."